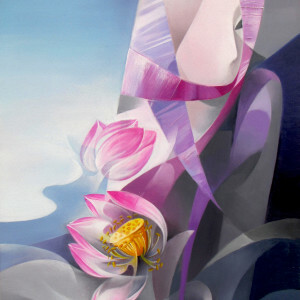 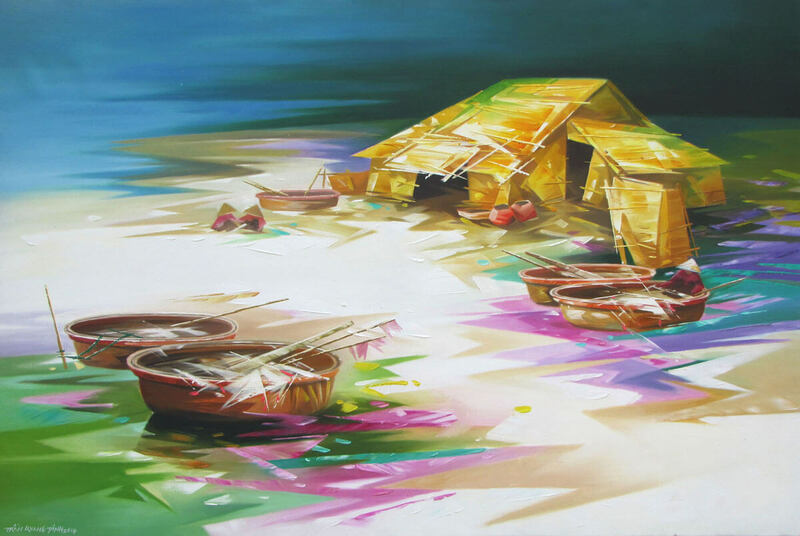 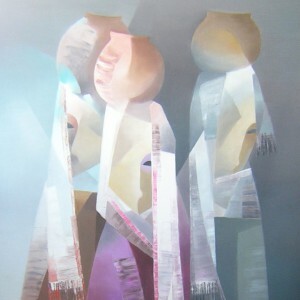 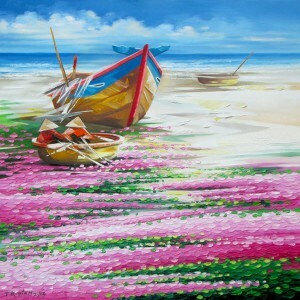 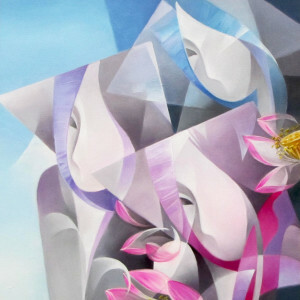 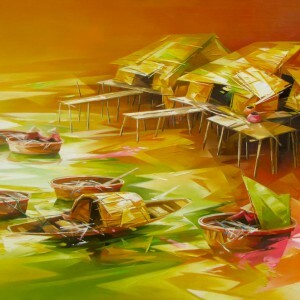 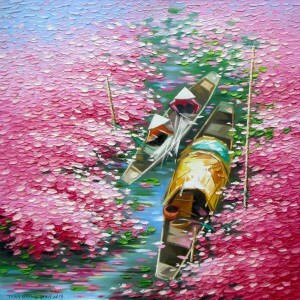 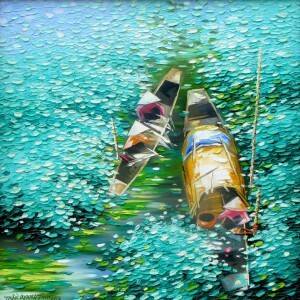 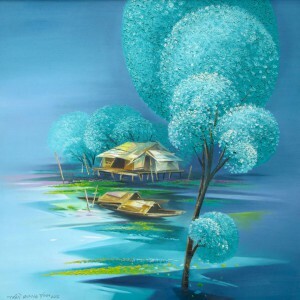 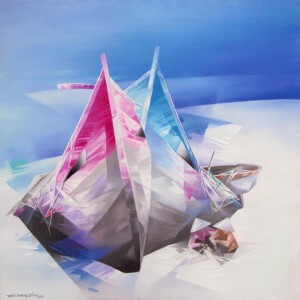 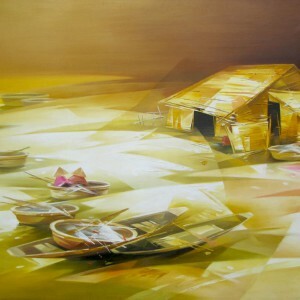 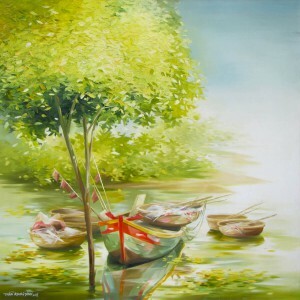 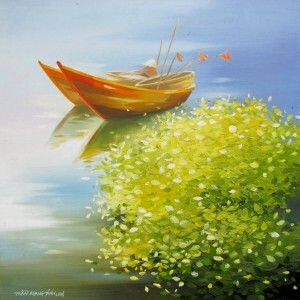 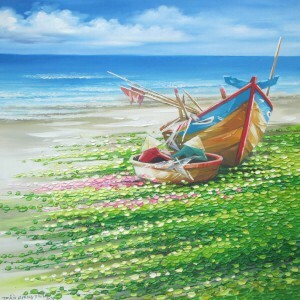 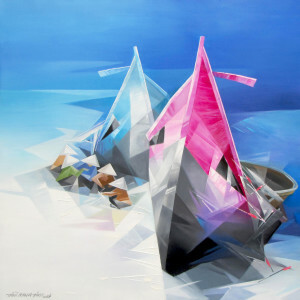 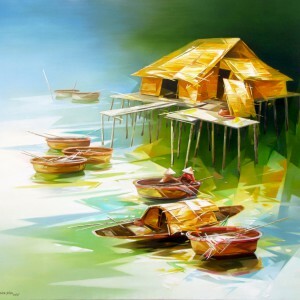 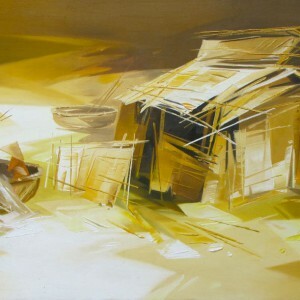 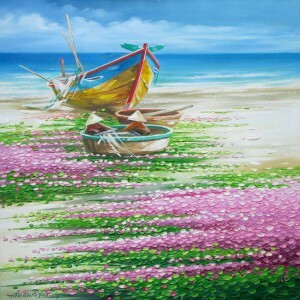 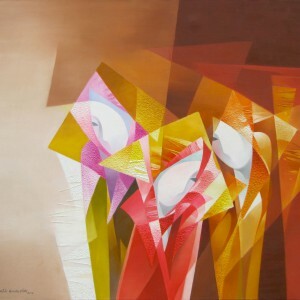 Contemporary Asian artist Tran Quang Dinh introduces the aesthetics of digital art into his canvases. 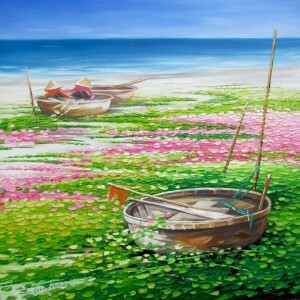 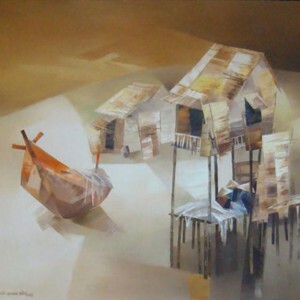 This is seen in this image of a fishing village. 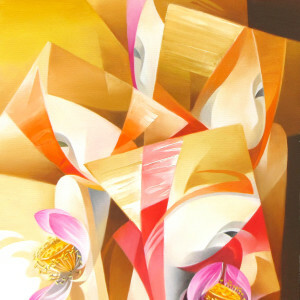 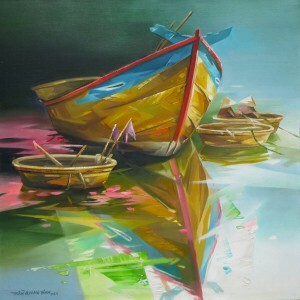 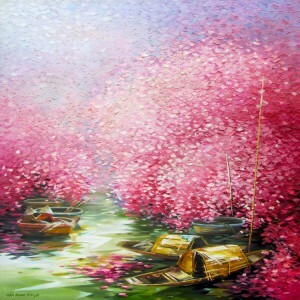 Smooth surface, sharp brushstrokes and contrasting combinations of colors add an elegantly unrealistic flavor to it. 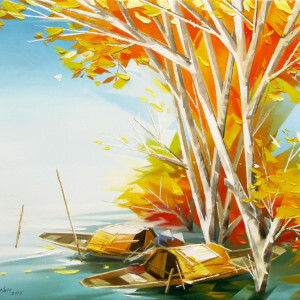 This new perspective brings a welcome novelty to the beautiful composition.